I’m back in the square! Made in Shropshire this Saturday, the 9th July. Shrewsbury town square, 9am -5pm. 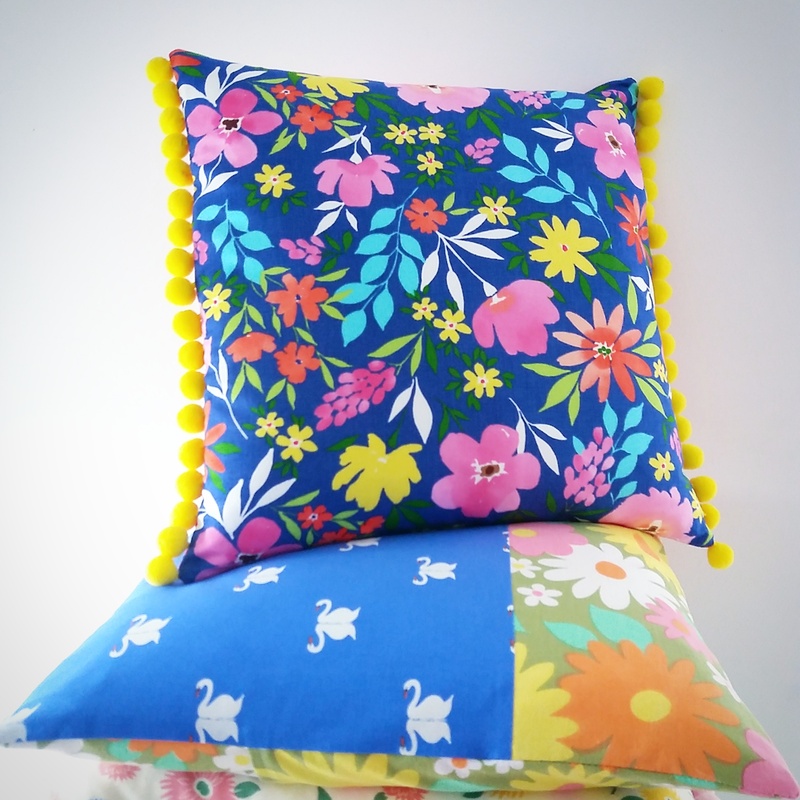 I have an abundance of flowery, summer brightening homewares and treats. Like this cushion, festooned with yellow pom poms! This entry was posted in Events, Handmade and tagged craft fair, handmade cushions, made in shropshire, shrewsbury events. shropshire craft, shrewsbury shopping, shropshire events.